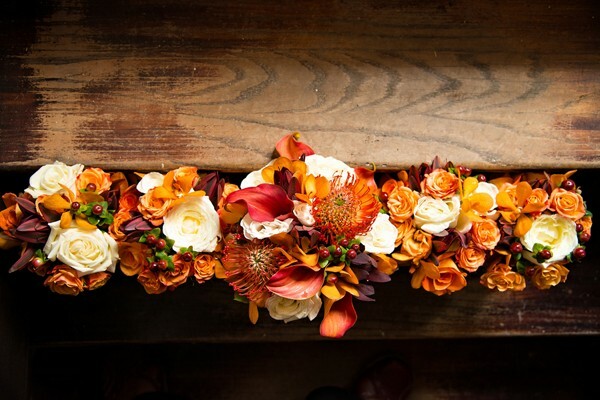 Fall in Love with Fall - Wedding Ideas. 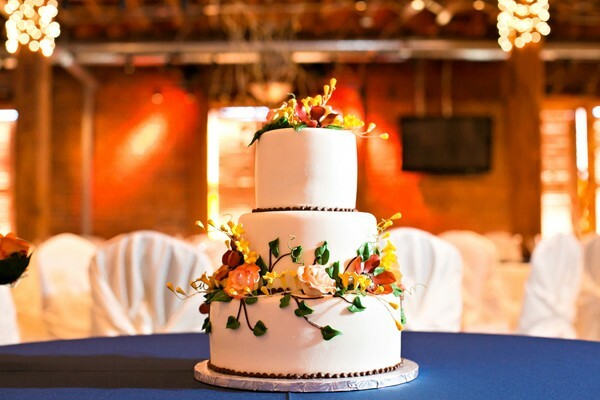 Hosting your wedding during a particular time of year is a great way to add inspiration to the big day. Fall weddings have been gaining in popularity in recent years and we think it might have something to do with the beautiful, natural changes taking place. Time it to sunset. Sunsets year-round are gorgeous, but why not plan your ceremony right as the sun sets on a beautiful fall day? The diminishing light will intensify the colors of the sky, which pairs perfectly with the hearty colors of fall. Color your details. The color orange is synonymous with fall and pumpkins, so why not mix it up a bit and use a deep green, red or even gold as accent colors on your big day? You don't have to match everything, either! Mix it up and add different facets of the fall palette into your vision. Go au naturel. Fall isn't just about leaves, acorns, pinecones and pumpkins. Stretch your imagination. You can incorporate golden-hued squash, beautiful bursting berries, dark lanterns, limbs and bark, and even raw spices like cinnamon. Get creative! Do your finest floral homework. Flowers aren't just in bloom in warm months; you can find a plethora of flowers all year-round. Don't settle for blas bouquets. Find arrangements that are warm and bold. Go for the gold. If you're not a bride who likes traditional fall colors, you can always choose to take your look to the next level with shimmery gold. The glistening metallic accent is a great alternative to oranges and reds, but still complementary to the fall season! Bring the outside in and use Mother Nature as the springboard not to just fall in, but dive in to fall for your wedding day!